Jesska Denise: DIY - Cut Out Skull Top. 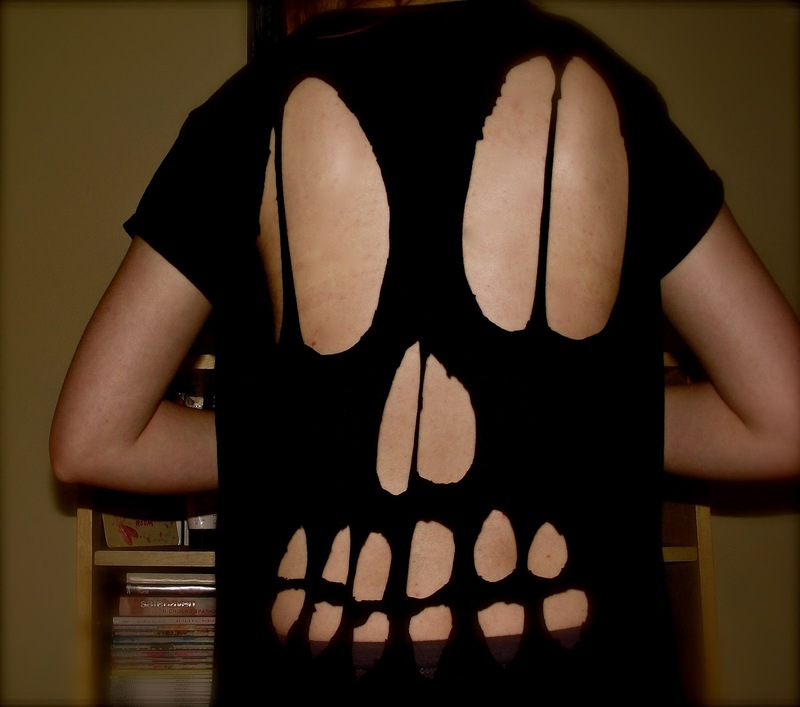 DIY - Cut Out Skull Top. When I seen this top on Brandy Melville I instantly wanted it, what I didn't want was to wait like 3 years for it to arrive in the post and i kind of didnt want to pay 18$ for a top that really i could make myself for half the price..then i took to youtube and watched countless videos. 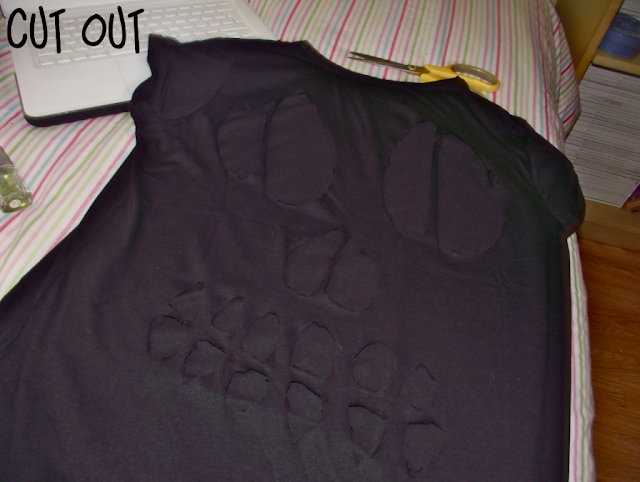 turns out its pretty easy to chop the back of your shirt into a skull face in less than 15mins. yay. I picked up a simple black tee in Penneys/Primark for a euro and got to work this morning. I started out by trying the shirt on and working out where i wanted to place the eyes. the eyes are the main feature of this shirt and i wanted to make sure i got them exactly where i wanted them. once i had that figured out i started to sketch out the eyes, nose and teeth with a sharpie. 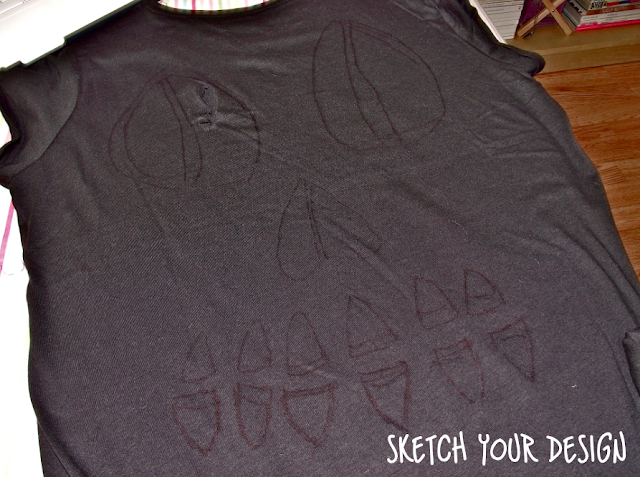 my teeth didn't come out as big as i'd have liked so i drew over them again just before i started cutting. and the finished prodcut. I think it came out really cool and can't wait to pair it with my american apparel high waisted trousers. when you look at the front of the top it looks so plain, but when you turn around its like 'woah' haha. when picking out your shirt go a few sizes up, i went up 5 sizes and got an 18 just to add that extra slouchiness. looks messier. i've seen these tops on a lot of style blogs and i've seen a few that have different cut outs on the back, hearts, triangles etc etc. 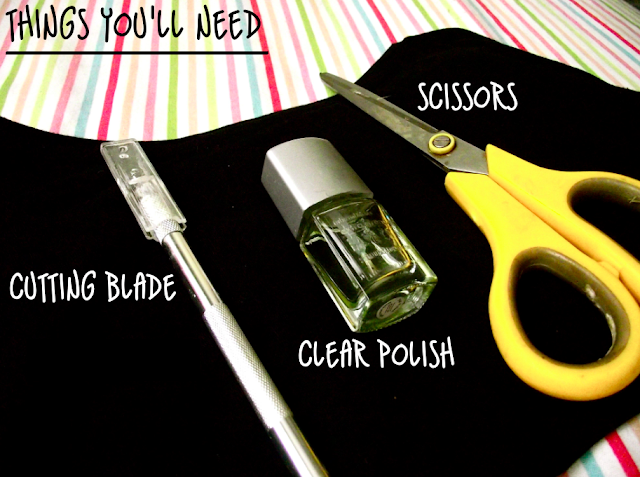 definitely going to try a few more styles (: have any of you tried this? That looks so great, I love it! It does look really cool! Wow, ta for this! :---) Brillo! This looks great! I tried to do a cut out a few weeks backs, totally failed!? I'm following you on blogger now!